World War Two consolidated jazz's place as a signifier of US cultural identity abroad The Cold War made figures like Duke Ellington and Louis Armstrong popular cultural ambassadors, while Dexter Gordon and many other US jazz innovators became quasi-permanent fixtures in a European scene stretching from North Africa to Scandinavia. Duke discovered superb talent in seemingly far-flung locales including Jamaica and South Africa; the Gillespie-Chano Pozo-Machito encounter made Harlem home to Afro-Cuban jazz; Japan developed a fanatical jazz fandom and recording industry; Art Blakey and Max Roach explored West African and Haitian ritual drumming; Randy Weston moved to Morocco; Stan Getz brought home the girl from Ipanema; and events like Ella Fitzgerald's 40th-birthday concert in Rome quickly assumed legendary status. But no genre stays vital without innovation, and today, some of the most creative work in the jazz vein continues to issue from similar kinds of international encounters. A few years back, Italian reed virtuoso and composer Gianluigi Trovesi joined with accordionist Gianni Coscia on a remarkable duet, In Cerca Di Cibo (ECM). A tender, allusive musical bagatelle, its startling juxtapositions traced an eccentric flight through Italian folk and popular tunedom. 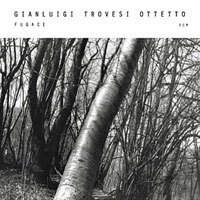 This time around, Trovesi fronts an octet, layering his own piccolo, alto sax and alto clarinet with trumpet, trombone, cello, double bass, electric bass, drums, percussion and electronics. Fugace summons up the antique musical myth of Orpheus ("Songo d'Orfeo") with a brassy, strutting counterpoint to Trovesi's sinuous clarinet lines, a sly, leisurely nod to a cosmopolitan Crescent City souk. Quoting "West End Blues" in various guises, Trovesi invokes Joe Oliver and Clarence Williams on "Blues and West," "Canto di lavoro" (with a wah-wah Second Line groove) and "Western Dream," the latter part of "African Tryptych," his medley to the mother continent. "Totò ne Caraibi" is a syncopated percussive restatement a traditional Italian song, an imaginative layering of voices, textures, tones and pure revelation, the elusive spirit of jazz, Trovesi's stock-in-trade. Master of the punctuated musical sleight-of-hand, Trovesi also salutes W.C. Handy and Louis Armstrong on the raggy hold-that-tiger groove of "Senza tigre," while trumpeter Massimo Greco takes an unlikely "Ramble" through an imagined Congo Square. On Charmediterranéen, Trovesi joins the French Orchestre National de Jazz, directed by Italian cellist and composer Paolo Damiani (the two previously worked together as part of the highly regarded Instabile Orchestra). The 12-piece ensemble also welcomes Tunisian Anouar Brahem on oud. Damiani's is a world-class project akin to Holland's Willem Breuker Kollektief and Adam Rudolph's Go: Organic Orchestra (more on the latter in a moment). Says Damiani, this is collaborative music of "instantaneous reasoning, without transitions," improvisatory as only the most deft of musicians are capable, Pan-Mediterranean in attitude and inspiration, a deliberate, provocative pastiche of sounds and textures not easily categorized, versed in every manner of musical expression found around the Meditarranean. Says Damiani, "I don't know what I'm looking for, but I know how to recognize the marvelously unexpected when I come across it." Call it fourteen adepts casting a collective vagabond ear upon an unheard future music. An enticing woodwind strain also weaves its way through Atlante Sonoro's first release, Duende. Italian clarinetist and soprano sax player Gabriele Coen leads the project (he also is the founder of Klezroym, the superb Italian klezmer ensemble). His palette here is the jazz quartet, with Pietro Lussu (piano), Marco Loddo (double bass) and Luca Caponi (drums, percussion). Conceptual inspiration comes from García Lorca's Juego y teoría del duende, "a mental air blowing insistently over the heads of the dead, seeking new landscapes and unfamiliar accents... the veil of Medusa announcing the unending baptism of all newly-created things." Here too, the Mediterranean and Levant comprise a lingering panoramic presence, beginning with two regional tunes, "Araber Tantz" (Arab dance) and "Karsilama" (the Greek-Turkish 9/8 dance rhythm). The ensemble takes these further East, investng the latter with a palpably Latin feel likely unearthed in Bucharest or beyond. Other traditional material receives thorough improvisational treatment: the klezmer standard "Papir Is Doch Wajss" and "Gankino Oro," the breakneck Macedonian folk dance that closes the album. "Streaming" could well be Coen's modal soprano shout-out to Coltrane the master, wherein Lusso assumes a reach and authority at the keyboards worthy of McCoy Tyner, as Caponi reveals a dead-on polyrhythmic sensibility. Singer Raffaela Siniscalchi lends a powerful wordless presence through the Andalusian strains of Coen's stately "Galut" (her voice weaving tenderly with the soaring clarinet), and on a wistful, lingering essay of Piazzolla's "Oblivion," perfectly resonant with the fatal evanescence of Lorca's last moments. Likewise in an Eastern mode, Istanbul native Okay Temiz studied Turkish percussion at conservatory in Ankara, and then played with traditional show orchestras throughout the Middle East, North Africa and Europe. Drawn to jazz and constrained by touring's formula demands, Temiz settled in Sweden. Trumpeter Don Cherry heard him in a Stockholm club, which led to an extended collaboration. Temiz eventually founded his own ensemble, Oriental Wind, while mastering the drum kit, berimbau, talking drums, timbales, congas, tablas, synth and qicca. Returning to Turkey in 1997, he formed the Magnetic Band, a quintet rounded out by trumpet, woodwinds, kanun (a plucked zither from the Balkans), oud, double bass and a second drummer. The resounding result is Magnetic Orient, whose fluid blend of East and West recalls something of Max Roach's 1979 classic, M'Boom. But there's far more here, a dozen original compositions redolent of Brazilian, West African, Ottoman, Gypsy and Eastern European Jewish musics, a complex percussive foundation with the expressive appeal of contemporary global jazz. From Argentina, bandoneon virtuoso Dino Saluzzi convenes his son José María (acoustic guitar) and Swedish double bassist Palle Danielsson for an intimate, minimalist program of understated tango originals dedicated to reminiscence and all feelings unspoken. On Responsorium, the trio setting favors a closely orchestrated harmonic quality whose soulful dissonances emerge as much from the listener's own emotive constitution as the players' suggestive silences. There is a brooding character here that proponents of a more dramatic tango obliterate in melodrama and self-absorption. None of that for Saluzzi and company; what you hear is somehow less than the sum of the parts. Just listen through "Vienen del sur los recuerdos" (memories come from the south), Proust in the pampas, beneath an immense and solitary sky of stars. The tango figures prominently: "Journey of St. Augustine" combines accordion, chromatic harmonica, piano and guitar in a wistful, understated setting, while "Between Birth and Dying" takes a more classical approach in an austere setting of accordion, piano, violin and cello, a clear invocation of Piazzolla. Straight-ahead essays in orchestral Latin jazz include "Mad Bop" and "Palito." The agile accordion-violin interplay of "Carmesí" (the color of blood) is a Dominican merengue inflected with Cape Verdean morna. The pedal steel work of Bill Flores on "Seveneves" would be at home on a Bill Frisell outing, while his more subtle accentuation on the percussive "Myth and Resurrection" blends with Tom Buckner's resonant bass clarinet, coloring a piece that invokes the spirit of Mongo Santamaria. A poem by Panamanian singer-songwriter Rómulo Castro provides the lyrics of "Pasión," featuring singer Téka Penteriche on a blue bossa whose piano-acoustic guitar-harmonica triad voices the longing that Brazilians call saudade. "Mercedes en reposo" is a Venezuelan joropo featuring the spirited violin of Charlie Bisharat. Bringing it all back home, "Los ojos de la ausencia," the album closer, a spare blend of acoustic guitar and marimba, is the composer's affectionate allusion to his Costa Rican folk roots. San José, California, native Akira Tana may sound on first listen like a straight-ahead, hard-bopping drummer and trio leader. Certainly, one doesn't come away unmarked from musical encounters with Art Farmer, Jim Hall, Milt Jackson, J.J. Johnson, Hubert Laws, James Moody, Paquito D'Rivera, Sonny Rollins, Zoot Sims and Sonny Stitt. But there's something else to Moon Over the World, which features improvisations on a trio of Chinese folk songs (including the title track and a sprightly "Condor Man," which kung fu fans may recognize from a gone TV era), along with tunes by Tana, Lo, Reid, Horace Silver ("Sweet Stuff," one of Silver's lesser-known ballads, a welcome surprise in Lo's hands) and Jaco Pastorius (note: this is a reissue of the original 1992 recording, long out of print). Guitarist Bill Frisell needs no introduction, and his posse on The Intercontinentals is true to name: Malian Sidiki Camara (djembe, congas, calabash, percussion, vocals), Brazilian Vinicius Cantuaria (guitars, vocals, drums, percussion), Greek Christos Govetas (oud, bouzouki, vocals), and North Americans Greg Leisz (slide guitar, pedal steel) and Jenny Scheinman (violin). The repertoire touches down in all these places, each player lending a distinctive presence in Frisell's sustained examination of the American folk oeuvre, and here, its relationship with allied sounds from the four winds. Delicately attuned to nuances that open out with repeated listening, this is an album that targets the far astral reaches. All the players are simply superb, and Frisell has the good sense to let things develop naturally; there's no singling out any one voice. But check out Jenny Scheinman's needle-sharp violin work, which serves to stitch together this musical coat of cascading colors, a golden thread trailing through the swirling pulse of beautifully textured, progressive three-D sonority. In an improvisational concert setting, Go: Organic Orchestra unites jazz reed perennial Yusef Lateef with composer-percussionist Adam Rudolph in a live recording of new compositions. Rudolph (who also has collaborated with trumpeter Don Cherry and Moroccan sintir player Hassan Hakmoun) conducts the 24-piece Los Angeles-based ensemble, which consists of a dozen woodwind players of all kinds and a like number of hand percussionists on a range of instruments; all the players sing and chant as well. Rudolph improvises using the concept of "cyclic verticalism," playing African polyrhythms through the rhythm cycles characteristic of the music of the Indian sub-continent, recalling (once again) Max Roach's M'Boom (and in a different vein, something of Slim Gaillard's over-the-top vocal exuberance). This two-CD set reminds us of Lateef's expansive musical contributions, and reveals Rudolph as a forward-looking figure with a transcendent improvisatory vision. Rudolph also has collaborated with Cuban pianist and composer Omar Sosa. Pictures of Soul came into being when Sosa arrived in Los Angeles for a 2002 performance with his septet. Both artists are deeply invested in the spiritual realm, and understand music as a vehicle through which to approach the divine. They went into the studio without charts and without rehearsal, Rudolph on a variety of hand percussion and Sosa at the piano. Conservatory-trained as well in Afro-Cuban percussion and marimba, Sosa brings a percussive feel to the piano, playing the keyboard and pedals while simultaneously reaching into the piano body to pluck and hammer the stings. What's striking about this effort is how these jazz visionaries listen and respond to one another, making for surprising turns and new directions at every juncture, a creative meeting of reference. The Rudolph collaboration was a natural for Sosa, whose solo work conjures up the same sense of tension, risk and abandon to the shifting direction of musical creation in the moment. Sosa's third solo album, A New Life, recorded in Big Sur, is dedicated to his son. Sosa's playing resonates with the classical stylings of Cuba's Ernesto Lecuona and Ruben Gonzalez, a former teacher, together with Chopin, a major influence, as on "Vuelvo Iyawo" and "El puente conversando," tender expressions of the sublime. Sosa's touch variously recalls figures as diverse as Bill Evans ("Memory"), Keith Jarrett ("Otra nana"), McCoy Tyner ("Paloma herida"), Randy Weston ("Ofrenda"), and Eric Satie and Bela Bartok ("Una mano," "Three Persons," "El campo de Arére," "Escucho"). His conception and execution are always illuminating, never derivative. Yet even in his most unrestrained moments, Sosa keeps touch with the Afro-Cuban roots of his rhythmic and sacred inspiration, as on "Crash de la tierra," "Danzón de los indios" and "El aliento," wherein the instrument's rich percussive and harmonic potential come fiercely to life. In November 2003, Sosa entered the studios of Radio Bremen, Germany, and sat down at a Steinway grand to make a live solo recording, Aleatoric EFX. In complement to the piano, Sosa uses ancillary hand percussion, sampling and electronic effects, playing with and through the random convergences that result from his experimental meld. This is a recording whose impressionistic manner, blending acoustic piano and found sound, envelops the listener by the resonant force of its subtle majesty. "Follow My Shadow" owes something to Bartok and hip-hop sampling alike, influences superbly understated. "Impromptu in D Minor" begins with an elegant, unhurried preamble that gathers momentum as it expands, in a considerate nod to Chopin, but pure Sosa throughout Channeling Monk from another dimension, "Pentatonic Research" is a literate essay in free-form keyboard expressionism, with a percussive workout on the piano strings, foot pedals and electronic effects. "Días de Iyawo" has become a Sosa anthem of sorts, cropping up in various forms on his recent albums (in a low-key allusion to the Cuban son, this may be his most tender rendition to date). The brisk closing track, an arpeggiated, big-chord "Muévete en D," clocks out at a parsimonious three minutes, then (following a 14-minute break of silence) explodes from the speakers with an unnamed bonus composition of seven minutes more, leaving the listener wondering at Sosa's immense capacity for musical expression. Sosa's newest ensemble work, Mulatos, is luminous evidence of continued creative growth, an incessant pursuit of world sounds, watched over by a benevolent muse. Throughout, Sosa and Paquito D'Rivera sustain a finely attuned, ingenious array of interlocking grooves "Ternura" builds on North African oud, vocal chorus and a potent rhythmic energy, carried forward on the strains of D'Rivera's haunting clarinet. "Nuevo Manto" combines Sosa's marimba and keyboards with more mesmerizing clarinet work, a loping bass, locked-in percussion and an impertinent vocal chorus, producing an endless loop whose rhythmic gravity is impossible to defy. "L3zero" is a magnificent reworking of "Funky Broadway," utterly unexpected and not immediately recognizable, weaving together the many traditional and popular strands of New World African musics. Closing the album is "El consenso" (the consensus), a stirring fusion of piano, oud, tabla and sundry percussion, testimony to Sosa's enlightened harmonic, melodic and rhythmic grasp of, and appetite for, disparate planetary sounds. His artistry exhibits a consummate technical finesse, a boundless lyricism, and a visionary passion whose expansive humanity reflects an intensely spiritual vision, a musician's musician for the twenty-first century.